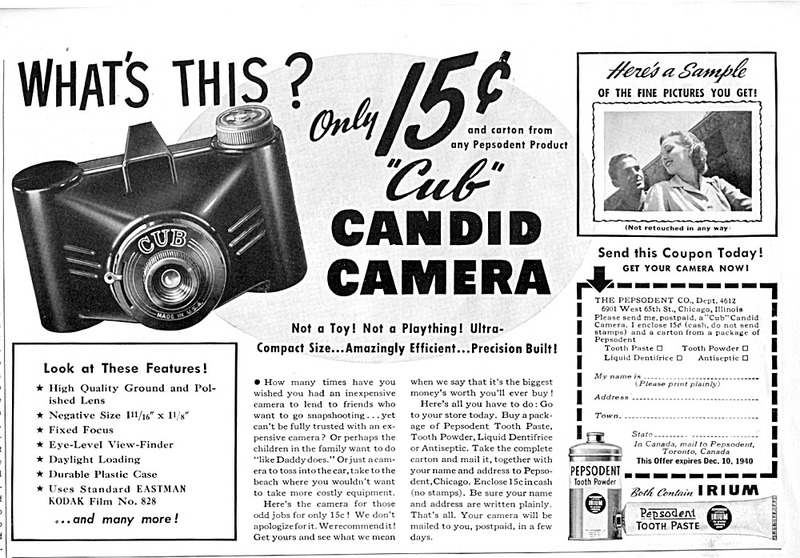 This Cub camera advertisement is from the December, 1940 issue of U.S. Camera. Notice the sample un-retouched photograph. It's actually quite decent. What I really like about this photo is the vantage point. This is how mom and dad look to a child. Sharp marketing.